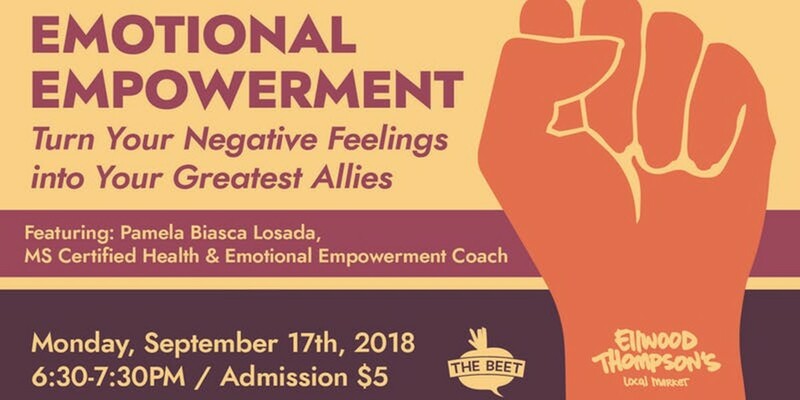 Emotional Empowerment: Turn Your Negative Feelings into Your Greatest Allies | Ellwood Thompson's Natural Market | Happenings | Style Weekly - Richmond, VA local news, arts, and events. Pamela Biasca Losada will teach you key components of the empowered language of our emotions to learn how to improve your overall quality of life. This approach will allow you to see negative feelings under a new light and learn how to use them in your favor!